Adams, John Quincy (1767-1848) Ship's Passport, 3 June 1825. 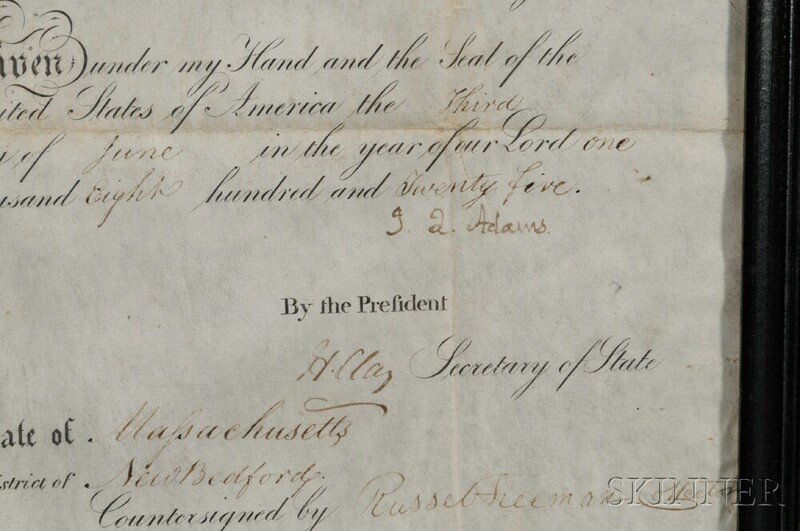 Adams, John Quincy (1767-1848) Ship's Passport, 3 June 1825. 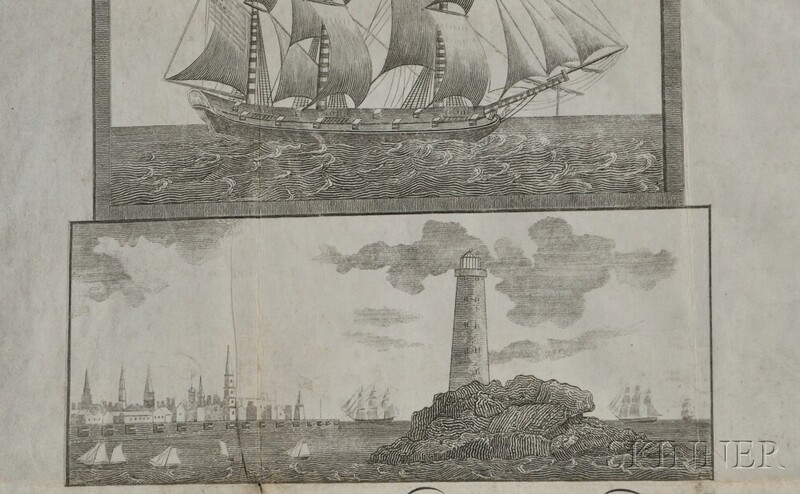 Single parchment page, partially printed document with an engraving of a ship and a lighthouse above the text, with a paper seal, completed by hand and signed by Adams in New Bedford, Massachusetts, countersigned by Henry Clay, as Secretary of State. Insuring the passage of the brig Formax of New Bedford, signatures and notes on the verso, old folds, wavy cut at top, as issued, double-glazed, 14 1/2 x 10 in.